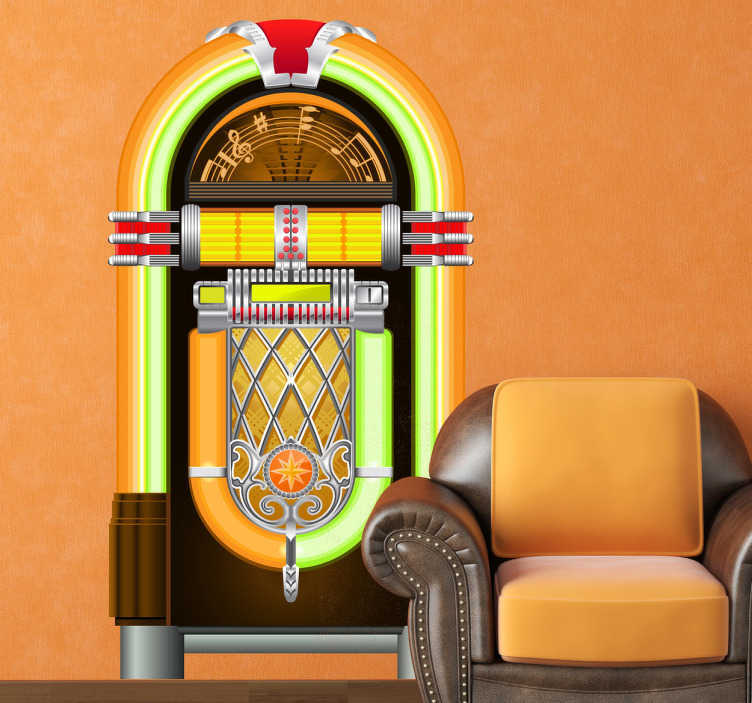 Illustration of an old vintage jukebox from our retro wall stickers collection to decorate your living room and relive the 80s. This vintage decal is ideal for music lovers or for those that love vintage items. Add a touch of colour and 80s nostalgia with this jukebox wall sticker. You won't have to worry about applying this decal since it has been made to be applied easily and leaves no air bubbles or residue upon removal. Available in various sizes. Also suitable for personalising appliances, devices and more.